Are you confused about interior design trends? Would you like to know who decides these things and why? What about really looking into the future to see what’s coming up and how it can help you help your clients and grow your business? For years I have been thinking of future trends and what lay in store for me and the world at large. But it can be difficult to decipher, and there are too many voices telling you their version of trends without looking at the bigger picture. The trick is to know your strengths and apply them to the given trends of the time. If you’ve ever done one of those tests, those psychometric tests where you answer a volley of questions, you’ll know that at the end it tells you the traits and strengths of your personality. I did a test one evening. Answering all 71 questions very honestly. My top two traits? Futuristic and Strategic. I was not surprised by this outcome. I look at trends with a keen eye and with a fascination for what is coming ahead whether that is in interior design or in the world in general. I would say that I’m not someone who thinks too deeply about the minutiae of the world, but when it comes to trends, looking forward to the next year, two years or 5 years, then I am overwhelmingly hooked into any conversation that explains the forthcoming ideas and likelihoods. You should be too as they can help or hinder your business. Why do people follow interior design trends? The thing about trends is that although people do not like being thought of as followers or sheep, they instinctively need reassurance that their choices are the right ones and will work for them, their families and their lifestyles. This is why the role of an interior designer is such a psychological role and not just a project manager bringing all aspects of modern interior design together. How can interior design trends help your business? Interior Design blogs often list very basic trends that are already in the public domain and that are known generally in the industry. But if you go into the detail of how trends are forecast, the work is being done by men and women on the ground; deciphering these trends and making them coherent for you and I; the consumers and the spectators. Who does these forecasts well? There are a few well-known places online that do the industry forecasting for future trends, one of which is interior design. Most come with a financial fee that is payable before you learn what trends are really up and coming. But you can still sometimes get a glimmer of what’s in store for us all by the bullet pointed breakdowns on their websites or from interviews they have given to recent publications. Let’s look at some of the main players..
Lidewij Edelkoot – one of the biggest brains on trend forecasting is the formidable Li. She has been forecasting trends for decades. I remember reading a magazine interview on her, many years ago, and it conveyed just how much she was revered in the forecasting world. Faith Popcorn (yes that’s her real name! ), has been forecasting trends from her Brain Reserve business in New York for many years and in 1981 coined the mega trend ‘Cocooning’ – the need for people to hunker down in their homes and wrap themselves away from the worrying world outside. This trend is still going strong and has spurned many mini trends from it..
WGSN stands for World Global Style Network and they’re pretty much masters at their art. Tapped into every visual design industry, they have a huge workforce that monitors up and coming and changing trends over fashion, interiors, lifestyle, technology, culture and arts. There used to be another heavyweight brand called Stylesight that specialised in corporate clients such as the big US department stores. But Stylesight merged with WGSN at the beginning of 2014. For reading material – take a look at the blog and books of Richard Watson. Notably ‘Future Minds’ and ‘Future Files’. ‘Trend’ is a word that is quite ambiguous. People get confused as to what is a trend of the year and what are the ongoing (Super Trends) – as well as micro trends, counter trends, flash trends, mega trends, mini trends and the like. Trends of the Year – these are the recognised trends that forecasters can see coming up and have noticed designers, manufacturers, style setters, youth and society are graduating towards. Design example: Colour – global colour authority house Pantone surprised the design folk by choosing two colours for the 2016 Colour of the Year. The pastel pink Rose Quartz and powder blue Serenity may seem strange bedfellows but to Pantone they signify a move towards fluidity and gender equality. Flash Trends – these don’t last very long but you’ll notice them appearing everywhere in response to celebrity endorsements, seasonal weather, political events and popular dialogue, online and off. Design example: Throws – in order to change and update your living room, a random square of fabric was added to create colour contrast and to add texture. Now seen, predominantly, as a move to enliven a flat, neutral palette scheme (that was undoubtedly chosen to represent the Neutral Colour Interiors trend! ), it was also a move to show individuals’ design skills. Super Trends – these are trends that are ongoing. They generally stay with us for a few years before boredom sets in and they morph into something else. Design example: Glass Pendant Lighting – hand blown, mouth blown, frosted.. Ye olde drum lampshade is a thing of the past as sculptural clear or coloured glass took hold a number of years ago and shows no sign of abating. It may be more expensive, but rarely does a week go past without a client requesting glass pendants for their homes. Mega Trends – these are seismic trends that last ten, twenty, thirty years and spawn a whole host of micro trends. They outweigh Super Trends as they affect whole swathes of continents as they are emotional, fundamental and transformative. Micro trends – these are the offshoots of Mega Trends and are the result of the population adapting to the mega trends. A sort of cause and effect. Some Micro Trends become mainstream if they catch on and work for the majority of the population. Design example – Ikat fabric. This appeared from one design trend (sustainability) and this simple printing method became a symbol of recycling, naturalness and ethics. Counter Trends – these are the inevitable backlashes to trends that occur when groups don’t want to be seen as ‘normal’ or pigeon-holed by the mainstream media or forecasters. Almost exclusively created online, they start underground as ‘movement’ and become mainstream when enough people buck the original trend – much to the disgust of the ‘counter trender’! Design example: Shabby Chic – whilst the rest of the world went minimalist, sleek and aspirational, people protested that this was a ‘cold’ environment, not how they lived and demonstrated just how homespun they were by white washing furniture (upcycling anyone?) and crafting curtains from Granny’s trunk in the attic. The trouble was, people bought into the comforting aspect (see Cocooning) and it was further bolstered by the recycling phenomenon. Soon everyone could buy and do shabby chic. Mini Trends – these are the short term trends that appear each year and hang about for a few months. Similar to Flash Trends but without the hype, they appear as if by magic in all the shops (who can adapt with hours to something catching the zeitgeist) only to be over and done with almost as soon as they’re noted. Mini trends are noticed keenly by forecasters as they can be an indication that a yearly trend has legs to become a Super Trend for the years to come. Design example: Digital Home Services – with the launch of Google Home, Apple Home and Amazon Echo’s emergence into the mainstream and steady growth for Wi-Fi enabled domestic controllers such as Nest, this trend will no doubt go global as its trustworthiness grows and more people use their smart phones to control their home services. Now you know what the trends look like, let’s explore what you have just witnessed in 2016. Perhaps the best way to understand trends is to look at the past and then look to the future to see the transition from one trend to the next. What Trends of the Year did 2016 have? This was undoubtedly an interior design trend that originated in 2015 after some years in the wilderness. Such a warm and inviting metallic was sure to come back in fashion and in 2015 it burst onto the scene and was gratefully purchased by many an interior designer – sick of the urban stainless steel that had pervaded the interior design industry for so long. In 2016, the mainstream retail outlets caught onto Copper and it was featured everywhere. Some are still embracing it (I don’t blame them) and some are finding new ways to incorporate it. See Ted Todd’s copper parquet flooring which is a super addition to their range. Pantone comes out with a ‘colour of the year’ annually and their choice for 2016 was Rose Quartz and Serenty (a pale blue). Rose Quartz was then re-blogged as Millennial Pink. This was not a sickly pink, in fact, it was almost a plaster pink, a dusty pink. This old rose tone not only encompasses the warm and inviting message that home dwellers are looking for but also builds on the more formal elegant trend that is having a resurgence of late. Given these trends are sooo last year, what trends are we expecting from 2017? The Institute of Colour Research found that between 62% and 90% of subconscious opinions are based on colour alone. Sober stuff for marketers and branders. But for Interior Designers this means that colour is very important – it’s not just about style. Greenery is the new Pantone colour of the year 2017, and even before this announcement was made a few weeks ago, you’ll have seen how well the colour ‘green’ was doing by looking at Instagram ‘likes’ of photos with plants and trees in them. Again, so much concrete, glass and steel play a part. As we become less natural and more sterile, so our need to connect to the natural planet increases. So plants, or rather greenery are in. Belinda’s advice: Whilst I can see Greenery doing well for many retailers in marketing terms, it’s a bold choice and for most clients will work in small doses only. Matteness is one of those strange trends that are not always noticed. Rather how one doesn’t notice eggshell or gloss on woodwork unless you look at it for more than three seconds. 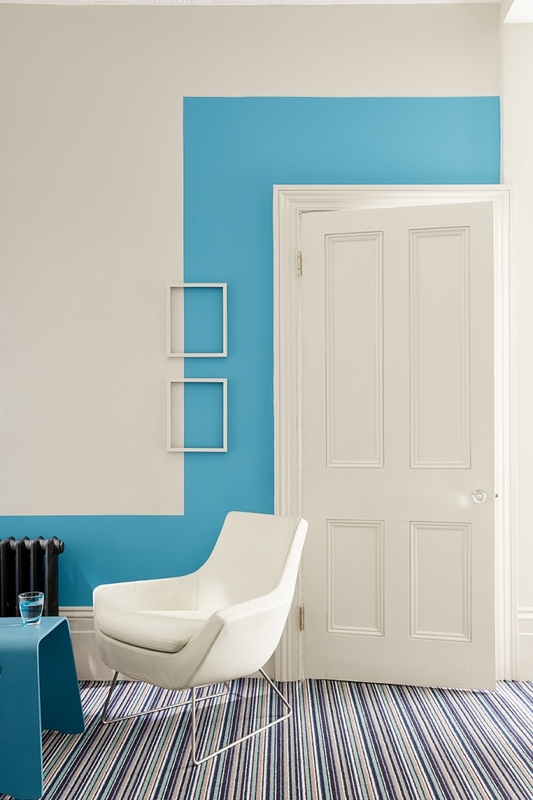 Matt is a softer finish for painting which is why is prevalent on walls in buildings. But it is now being used in commercial spaces on things that are normally glossy and shiny. Think taps and work surfaces. Matteness is a growing trend as designers look for difference amongst all the normalness out there. Some colours such as grey-blues and purples look amazing with a matt finish and the black matt finish has been very popular for bathroom fittings over the past year. Other wall textures in particular can be just as interesting as fixtures and fittings…so don’t discount grass papers too soon! Belinda’s advice: Use matteness next to shiny surfaces so they are not competing. Keep semi permanent fixtures like taps and worktops in a neutral colour unless you know you can live with this trend for a few years to come. This is a Swedish word pronounced ‘lar-gom’. It means ‘just the right amount’ and as such it has been put on a varied amount of products. As a designer it should mean ‘to not go over the top’! Think of frugality, balance and restraint. Words not always used by designers in their quest to impress. Belinda’s advice: Whether you are an extrovert designer or pride yourself on your subtlety, I would use this trend to check your designs for any ostentatious aspects and perhaps pare back on the accessories in any given scheme. What are the interior design Super Trends for 2017 and beyond? The super trend that won’t go away. All to do with practicality of course – so many of us don’t have room for dividing walls anymore – the open plan living trend is set to stay. In the past and still in some communities who can’t handle the sexes mixing, open plan living has not been suitable or preferable. Kitchens were separate to ensure that no cooking practices were observed and the mess was out of eyeshot. Nowadays, cooking has become a pastime for friends and family members alike so open plan living works well in most homes. If the kitchen is large, don’t overlook adding a breakfast bar. Just because a family has room for a large dining table, this doesn’t mean all members of the family will want to use it. Keep sofas low and modular – make sure family members can see from all points of the sofa. If you need to divide spaces for different purposes, use narrow console tables and rugs to delineate the spaces. Grey, Beige, Taupe, Mushroom..they all say class, simplicity and modernity. Unfortunately, they also say safety, laziness and sheep. Perhaps I am being too harsh. It’s not that they’re terrible colours. It’s the fact that so many people have them, as they copy what everyone else is doing. To be fair, you won’t have to try as the clients will go for neutrals in their home; you’ll have a job getting them to be counter-trenders! But, if you’re feeling brave.. Suggest a neutral ceiling such as taupe, mushroom or golden wheat. 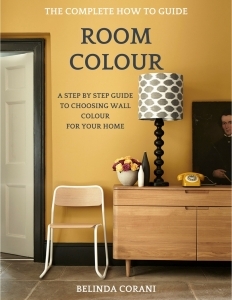 Room Colour is going to make more of an impact over the next few years – be sure to be aware of all the shades, tints and hues that are out there. The classic ‘let’s open the French doors wide so that we can let the garden really come inside’ has been replaced by living wall panels of foliage and vines and ‘super conservatories’ where roofs slide off at the touch of a button. Our desire to connect with nature, particularly those that live in cities is fueling our need to bring what little greenery we have into our homes. If we cannot indulge in al-fresco dining then we will solve that by moving the flora and fauna inside. Rattan furniture (Lloyd Loom for those that are ‘old skool’) to be used in the garden as well as in conservatories. In the long term there are some trends that you will see develop over the coming years, due to climate, economic and social changes. It’s a word that has been used for decades by the environmentalists and yet it has not always been taken seriously as a trend. As the planet’s resources are used up and the internet and activists combine to show us the truth behind corporations, its importance across the market will grow steadily stronger. Customers are naturally more informed and demand a socially responsible approach from brands. Eco paint, for example, has been around for years and will continue to grow; although if everyone has sustainable and ecologically sound paint, brands will need to think of another USP (unique selling point) in order to retain customers. For designers, this approach should be noted. Using sustainable paint, wood, building materials and soft furnishing fabric should be seen as the norm. Large designer paint brands, timber merchants and other suppliers have had to adapt their products both to incorporate this growing trend and to ally current customers fears and beliefs on sustainability. As a designer, you can show your finger is on the pulse of this trend by explaining from the outset that your suppliers have made changes to their manufacturing processes and that you ensure all products are reliably sourced. When people feel threatened or unsafe, they tend to buy into little (or large) luxuries to make themselves feel better. This is a well known phenomena that occurred in World War II when sales of expensive lipstick rocketed on the back of rationing and deprivation. Because they can, the super rich will have a bit of a splurge. Because of seismic political changes, they will feel that it is justified. Life expectancy is rising and people realise the value in looking after their environment – particularly their home environment. Luxurious Spending (on themselves) is in. As a designer you will piggyback off this as clients want to buy big in order to make themselves feel better. Buying for themselves will become acceptable as everyone will be doing it. Those that don’t have the cash for a new house, will look to changing curtains, sofas or paint colours. Anything that will nourish their eyes and soul— anything to make alleviate the uncertainty that the media is foisting upon us. This is about small, rather than big. Personal, rather than generic. Faith Popcorn calls this Emo-nomics. Emotions will rule your clients hearts and heads and following that, their wallet. Small companies will be valued more and trusted more than the large ‘faceless’ corporations. Security is big business. Always has been. With technology like self-driving cars and identity theft tactics like phishing, people are looking for places that feel safe, and that space is at home; particularly with the growing number of people that work at home. When they get there, people are blocking their laptop and desktop webcam/cameras because they worry about being filmed and they don’t want to lose their sense of privacy. Today’s teenagers are interested in retaining their privacy, even more so than the older millennials, so they’re not likely to give up their data to companies to advertise to them. They want what they want when they want it. Not before. An increase in security systems, including cctv cameras, changing of locks and password protected audio visual systems means a slight veer away from remote technology purchases, despite their apparent usefulness and abilities. Furthermore, you are going to need to prove yourself to the new generation and as they have influence on their parents and will dismiss any outlandish claims or sweeping generalisations you make. Men and Boys make different decisions to Women and Girls so you should be aware of marketing to them differently. Females want understanding (juggling all those roles), Males want stability and comfort (20% are now at home and taking care of their children) because these new aspects of their lives are somewhat destabilising. Be prepared for the whole family to take an interest.They’ll be vocal, emotional and demanding. Totally futuristic, the future of Humankind is going to be robotic. There are two schools of thought here. 1) is that humans themselves will incorporate nanotechnology into their bodies – this has already happened within a number of medical conditions – and 2) that individual robots will help us with our daily lives. From ordering homewares, cleaning the home, driving and delivering items to and from the home and generally being the ‘Housekeeper’; you can expect Robots to be organising the lives and households of your future clients. Robots will replace 40% of the jobs that people do now. This change is not imminent, but like a good snowball effect, once it starts rolling, the increase in size will be unstoppable. This will start in the home of the wealthy with an increase in luxury goods spending. With robots replacing jobs and tasks around the home you can expect more work coming through as the job of organising you is left to a robot who won’t forget to contact you. This won’t be entirely new to some of us who already deal with housekeepers and personal assistants already! There are some trends that I have noticed that will continue to grow as we have less and less space on this planet. I have coined this term myself as Necessary Trends – and these deal specifically with the interior design industry. Spurned somewhat from the Micro-Dwelling trend (the need for more affordable housing has pushed developers to create smaller than normal apartments for the single person), Fit & Flare is all about making every space count – with the utmost practicality. Think drawers from behind stairs risers and bespoke joinery in the eaves of a house. Corner cupboards, storage under tables and retro wall hung beds have also made an appearance. Psychologically, this is very important in interior design trends – although you might not think it. Whilst feeling out of control of world events and even their lives, clearing possessions becomes something the homeowner can do and is often happy to do. It rewards them with the notion they can actually do something at their home which won’t cost money and that can even give back to their community if they recycle or sell these items on. Therapeutically they feel better, and visually they can see the impact on their homes. You should also not downplay the feeling that clear uncluttered space can give to a person to move forward and update the rest of their property. So, naturally, all these trends will take shape over the next few months and years, and you will have to keep a look out for them and monitor them as the landscape changes. But if you do want to look into the year beyond this one, here are some other trends that have been coined by WGSN for 2018! This trend is an evolution of the experience economy, focused on how nature will branch out to include virtual reality wonderlands. Expect to see a significant increase in brand activations and collaborations around this idea. Also, as digital increasingly incorporates the physical, expect ‘phygital’ design: making design more lifelike and emotionally compelling. Defined by a strong sense of individuality and creativity, youth culture is influencing every area of the market. Youth itself will become a state of mind; while the growth of virtual reality and data will allow for new means of creative expression and self-identity. The evolution of connectivity, both real and virtual, are driving the Kinship trend – which focuses on a growing sense of community, cultural sharing and breaking boundaries. Slow Futures is a trend about the stripping away of excess, where new is not necessarily better, and as lives speed up and time feels scarce, inspiration will be found in moments of boredom and joy in moments of slowness. Design and technology will merge more seamlessly together creating a rustic minimalism that will combat over consumption and allow a stealthy product evolution to emerge. Nothing is ever new. Everything is cyclical. You may think that you’re being innovative but actually, it’s all been done before. Why trends appear new is because many people are seeing these things for the first time. Or at least for the first time in a long time! Technology is the key to making things appear new and fresh. That and a lot of marketing! For your own part you may want to visit trade fairs and other interior design events in order to start your own trend forecasting abilities. It’s very interesting to go into a Trade Fair and realise that you are seeing a certain colour over and over again and a swing towards a certain type of wallpaper or more of a seismic shift on how people are using the rooms in their homes. It will take a while for you to train your brain to step back and look at the bigger picture because we all get sidetracked by looking at the individual pieces that are in the shops rather than viewing the broad nature of what’s available. What people want to buy, and how they want to live, people’s fears, insecurities, pride, comfort, pragmatism, simplicity and sense of luxury is all brought to bear when you look at the big picture and do not scrutinise Individual pieces. Individual items can point the way but these are the end result, the effect if you will, rather than the cause of the purchase by the homeowner. 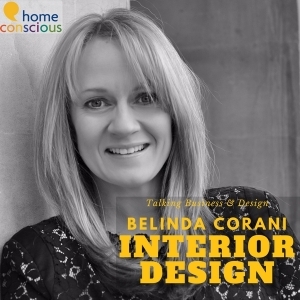 Hopefully this has given you a good insight to the world of interior trends and how they can help shape your business.